Space Limited – Book Today! The Hiller Aviation Museum presents free field trip experiences to K-12 schools on select Mondays. Groups must come from a public, private or charter school. Individuals and families are not eligible to receive the Mondays at the Museum fee waiver. Group must include at least 12 students and one adult chaperone for every 8 students. Advance reservations are required and must be booked at least two weeks prior to the visit. Reservations must be secured by credit card. There is no charge to attend, but cancellation policies (including $25 cancellation fee) apply to all groups. Priority is given to public schools with demonstrated financial need. Schools with at least 40% of students qualified to receive free or reduced price meals may complete an Admission and Program Fee Waiver Request to receive priority placement. 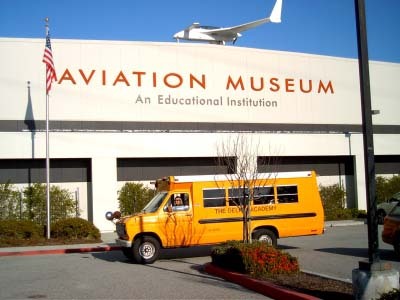 Qualified low income schools may separately complete a Field Trip Transportation Reimbursement Request for assistance with bus transportation to the Hiller Aviation Museum. Availability on each date is limited as no more than 120 students may be accommodated at any time. Due to heavy demand, submitting reservation requests at least one month in advance is highly recommended. Changing of confirmed reservations is allowed on a space-available basis, but regular field trip admission and program fees apply to field trip visits that occur on dates other than those indicated above. All field trips include admission to the Hiller Aviation Museum, its aircraft collection and all available interactive Gallery experiences. 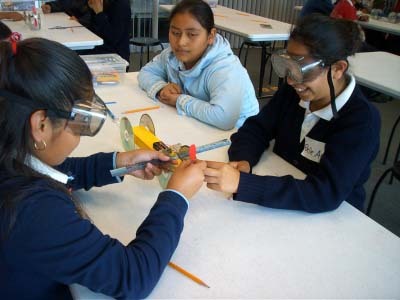 One basic hands-on program may also be requested as part of a Mondays at the Museum field trip at no charge. Additional hands-on program topics may be available. Standard program fees apply. To book your Mondays at the Museum – Google Field Trip Days experience, submit a request using the Hiller Aviation Museum’s online request form indicating one or more of the available Monday dates . Space is limited. You will receive a field trip confirmation message to verify the date that you have received. Transportation reimbursement is available through a separate program for qualified public schools with 40% or more of students eligible to receive free/reduced price meals. Download the Field Trip Transportation Reimbursement Request form for more information or to apply for this assistance.